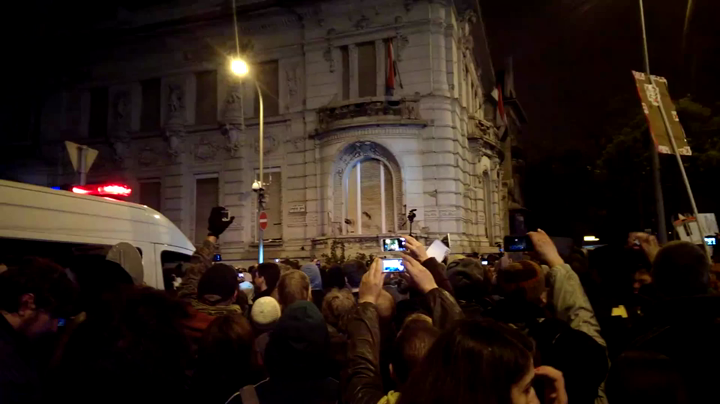 Furious with the government plan to impose tax on Internet data traffic, thousands of Hungarians rallied in front of the Economy Ministry in Budapest to protect the freedom of the internet from the ‘anti-democratic’ measure. Tens of thousands gathered in front of the Economy Ministry building on Sunday, urging the politicians to scrap the plan that will see internet service providers (ISPs) pay 150 forints ($0.62) for every gigabyte of data traffic transferred over their networks. Although the draft suggests that ISPs would be able to offset corporate income tax against the new tax, the protesters believe that eventually the new tax burden will end up pinned on common users. The Association of IT, Telecommunications and Electronics Companies has already said the tax would force them to raise prices, Reuters reports. 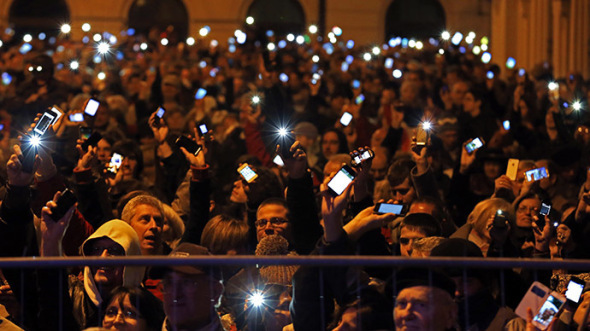 Protesters held up their smartphones, lighting up the square with their screens. Part of the crowd then marched to the city’s historic Heroes Square, Reuters reports. 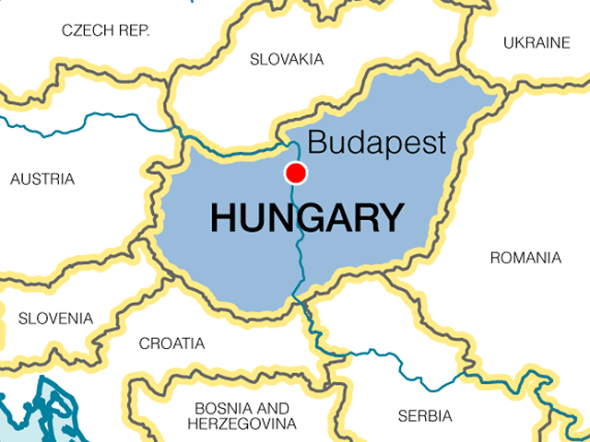 “The measure would impede equal access to the Internet, deepening the digital divide between Hungary’s lower economic groups, and limiting Internet access for cash-poor schools and universities,” the press release added, as some 41,000 people signed up to protest on social media. The organizers of the protest dubbed “100,000 against the internet tax” promised another mass rally on Tuesday, unless the government withdraws the draft legislation within 48 hours. The ruling Fidesz party promised to submit an amendment to the legislation on Monday, capping the maximum tax payable by individuals at 700 forints ($2.88) per month. The government is trying to close in the gap in the existing tax on telecom sector – 2 forints ($.01) per minute or per text message – as Hungarians use Internet-based services more frequently than traditional phones. The treasury hopes to get as much as 25 billion forints ($102,730,750) from the introduction of the internet tax, the Economy Ministry said, according to Bloomberg. UPDATE: On Oct. 31, the Daily Telegraph reported that Hungary’s government has suspended plans to introduce a controversial internet tax after huge public protests fueled claims it undermined freedom of information. Prime Minister Viktor Orban announced the government had put the tax plans on hold, adding there would be a “national consultation” about the internet in January. GABORONE – Botswana’s ruling Botswana Democratic Party (BDP) secured 33 of 57 parliament seats in national elections, initial results showed, putting President Ian Khama at the helm for a second five-year term. Residents of the southern African nation, who voted on Friday, re-elected the BDP party that has ruled the diamond-producing country since independence from Britain 48 years ago. Provisional results show the BDP’s main rival, the Umbrella for Democratic Change (UDC), with 14 seats and the Botswana Congress Party (BCP) with two seats. Eight seats were yet to be declared. This will be Botswana’s most closely contested election, and is likely to see the BDP’s majority sharply reduced from the 79 percent of seats it won in the 2009 election. President Khama’s party still enjoys the support of a generation of voters won over with high spending on education and welfare benefits. However, there is growing discontent among younger voters and the urban middle class who say change is due after nearly five decades of BDP rule. Although Botswana is often seen as one of Africa’s most stable and democratic nations [on a continent often tainted by conflict and corruption], economic growth has slowed as demand for diamonds decreases, and unemployment is about 20 percent. 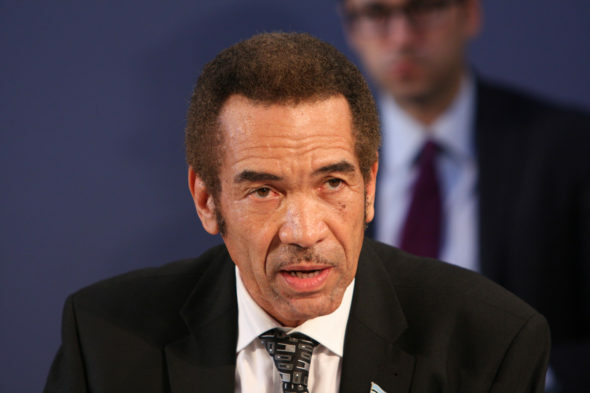 Khama has drawn criticism for forcing eviction of bushmen from their traditional hunting grounds in the Kalahari Desert and for introducing an unpopular 50 percent tax on alcohol. The 61-year-old president has said only the BDP is competent enough to rule, and pledged to create jobs and improve water and electricity supply if given another term in office. Last week, Botswana’s sole power station broke down, forcing it to rely on electricity from neighboring South Africa. MARACAIBO – Amid worsening shortages, Venezuela recently reached a milestone of dubious distinction: It has joined the ranks of North Korea and Cuba in rationing food for its citizens. Venezuela’s new program of rationing is infuriating consumers who say it creates tiresome waits, doesn’t relieve shortages and [ignores] the far-reaching economic overhauls the country needs to resolve the problem. 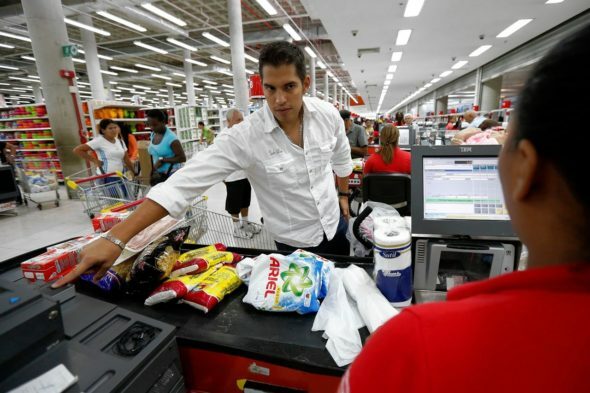 The socialist government rolled out the system last month across 36 supermarkets in this western border state, Zulia, whose capital is Maracaibo, with a recent expansion into a select number of state-owned markets in Caracas. Venezuela is turning to rationing because of shortages caused by what economists call a toxic mix of unproductive local industry – hamstrung by nationalizations and government intervention – and a complex currency regime that is unable to provide the dollars importers need to pay for basics. Already, only 30% of the normal level of basic, price-controlled goods were available in a select group of Caracas supermarkets, said a recent survey by Venezuelan polling firm Datanalisis. Under the system in place in Venezuela, basic price-controlled items – including milk, rice, coffee, toothpaste, chicken and detergent – are rationed, with the fingerprinting machine used to ensure that a shopper doesn’t return over and over to stock up. It means that consumers are limited to buying up to 2.2 pounds of powdered milk – called “gold” here for its rarity – a week. Many economists say jettisoning currency and price controls, as well as loosening restrictions on local producers, would alleviate shortages. b) What concerns do protesters have with the government’s plan to tax citizens’ internet use? OPTIONAL: $2.88/month might not sound like a lot to some people who don’t oppose what they view as moderate taxes, but average weekly/yearly salary for Hungarians compared to Americans must be considered. Do an internet search to determine these averages. Ask a parent what he/she thinks of this proposed tax in Hungary, and how he/she would view an additional comparable tax on our internet usage. b) How is Botswana viewed by the rest of the world? c) What is Botswana’s greatest natural resource? d) In the Reuters report on Botswana elections, the reporter ends with: “Botswana’s sole power station broke down, forcing it to rely on electricity from neighboring South Africa.” What does this imply about President Khama’s party? What impression does it give you about President Khama’s party? e) This article does not provide information about the power situation in Botswana, but we know that the population of Botswana is 2 million and the country is a little smaller than the size of Texas (according to World Factbook). 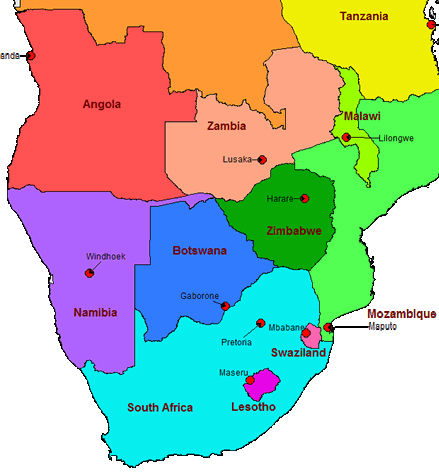 A quick internet search finds that several countries in the region purchase electricity from South Africa; also, Botswana is building a new power plant to be operational by 2018 (see wikipedia). Would this information cause you to change your impression about the lack of power plants? Explain your answer. b) What has caused the food shortage in Venezuela? c) Define nationalization. What is the problem with this system? But the fingerprinting machines—and the shortages of basics—are irritating consumers, who also must contend with rationed water and gasoline. Venezuelan officials blame the shortages on smugglers who they say buy price-controlled products here and sell them for a handsome profit in neighboring Colombia. Though economists estimate that about 10% of Venezuelan consumer merchandise winds up in Colombia, Venezuelan President Nicolás Maduro has said that the figure is 40%. 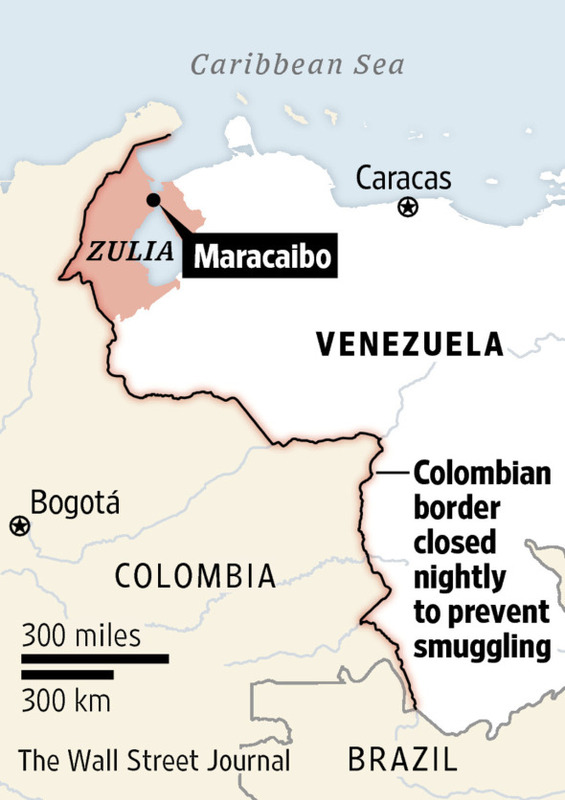 He has closed checkpoints along the whole 1,375-mile border at night to stem the flow, and a crackdown on smugglers has led to the arrests of shoppers that officials believe to be planning to sell what they purchase in Colombia, say border guards. nationalization – refers to the process of a government taking control of a company or industry, which can occur for a variety of reasons. When nationalization occurs, the former owners of the companies may or may not be compensated for their loss in net worth and potential income.